Here’s a few images and a bit of a tour of the interior of Vellamo. 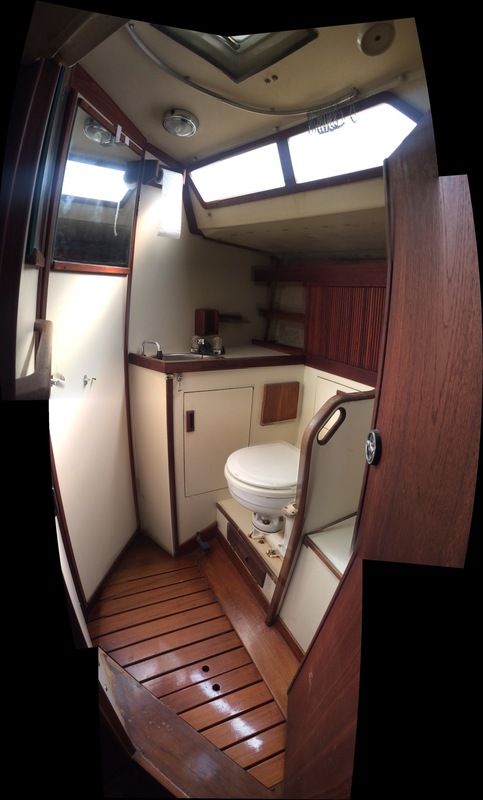 She has two cabins, the owners cabin is in the rear with a king size bed, plenty of lockers, a little bench space, and direct access to the rear head. The v-berth is good size, has storage below, hanging lockers, and private access to the forward head. I don’t really need two heads on the boat, so I am planning on converting the forward head to storage/work shop. The holding tank for that head has already been exchanged for a fresh water tank, so the plumbing isn’t legal anyway. The main salon has a large settee to port which folds out to a double bunk. The table folds up against the wall opening the space up. It’s a very spacious salon, with decent storage. Under the port settee is a water tank, under the starboard there used to be a water tank, but that was removed some time in the past and is now largely empty, except for a marine reverse cycle AC unit. I plan to open up access for storage. 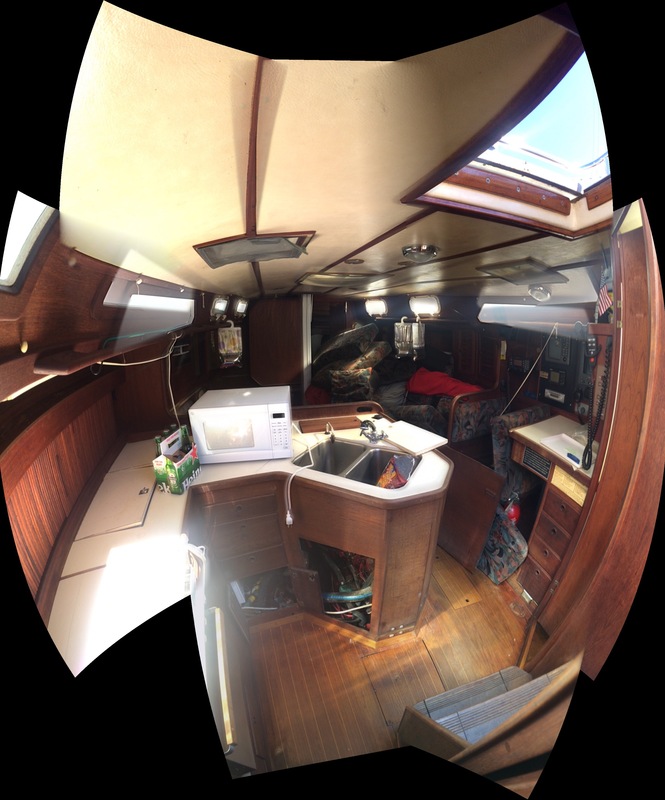 Aft of the salon is the nav station to starboard, and galley to port. These are both key features in my decision to buy this boat. The nav station is layed out well, with good storage, and a big enough table for actual charts. It’s facing aft, which facilitates better communication with the helm. 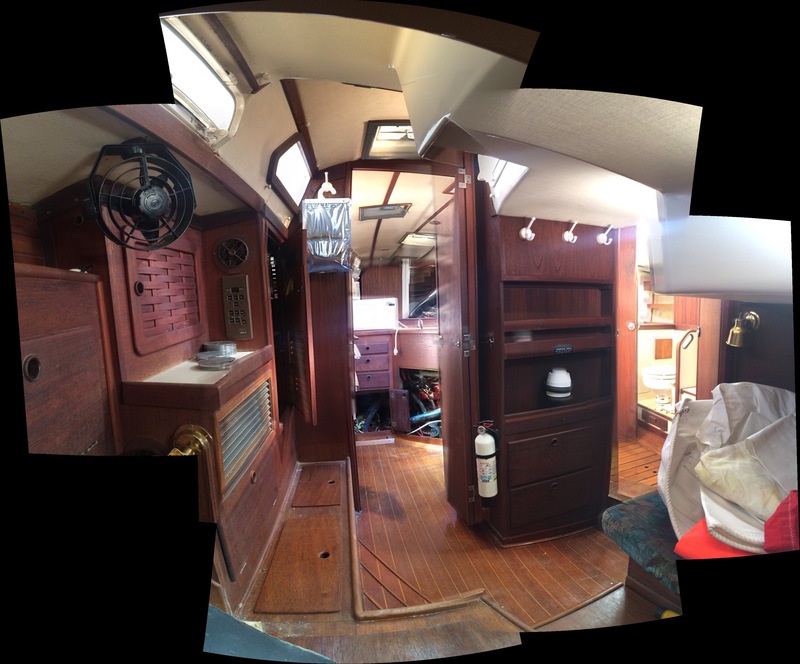 The galley is huge (in coming from a C&C 34 which doesn’t have room to make a sandwich and get into the icebox at the same time). Plenty of storage, and a gas stove/oven. Refrigeration is engine driven along with 12v and 120v systems. The galley. That microwave is now gone… same for those beers. The aft head is large, and has a separate shower area. This was one key feature that I felt was necessary for living aboard. Having a separate shower space just keeps the head much cleaner. The cockpit is also really important as it needs to be comfortable, safe and functional. Sabre did a great job of this on the 42’s. It’s big enough for me to stretch out on the bench and take a nap (which is more important that you realize), big enough to feel roomy, but small enough to be able to brace yourself while healed over. The deck has wide side-decks, which is great for being able to maneuver safely… and for my dog to feel comfortable on. 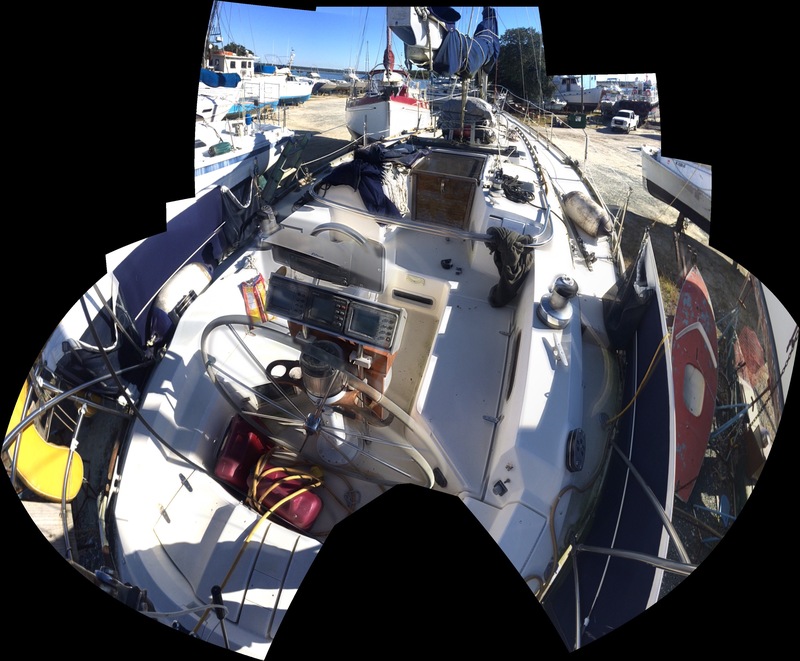 Right now, the halyards are all forward, midway between the mast and the cockpit, this is something I will be changing. I want to move everything to the cockpit so it’s safer and easier to deal with.